Even though we heard that the Samsung Galaxy Ace would be bound for Germany some time this month, it’s now readily available for purchase courtesy of Three UK. Customers can purchase the mid-range Android 2.2 Froyo smartphone for free with the carrier’s “The One Plan,” which goes for £30 ($48.60) a month, and provides for unlimited data, 5,000 text messages, and 2,000 minutes of talk. 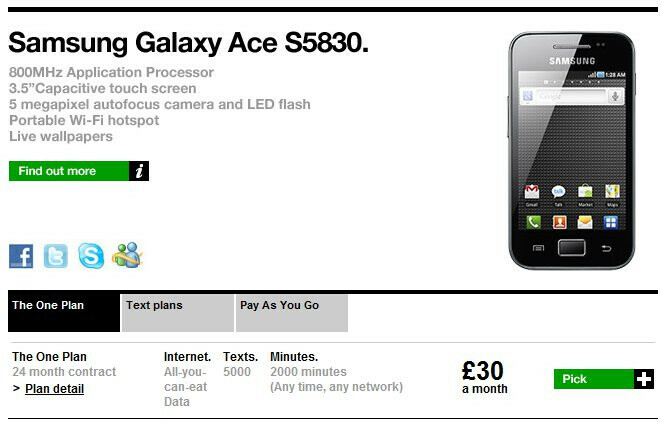 In addition, for those who would prefer forgoing on signing a contract, you can pick up the Samsung Galaxy Ace for £199 on a pay-as-you-go plan. 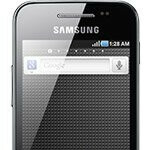 Certainly not the most impressive thing to come out of Samsung’s camp, but the Galaxy Ace should get the job done for most people – especially when it’s more affordable than the other premium offerings out there on the market. So what? It has been available in India since about a month.